Eclectic repertoire, mostly classical style music but also Latin and contemporary. 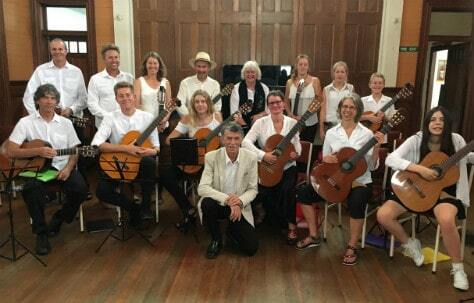 The Nelson Guitar Orchestra gives amateur players and students the opportunity to play music together for pleasure and to gain musical and technical tuition as well as experience group performance. The group gives two or three public performance each year. Because this is a group working together, it is important that a commitment is made to attend on a regular basis.